PITCH is the dramatic and inspirational story of a young pitcher who becomes the first woman to play Major League Baseball. 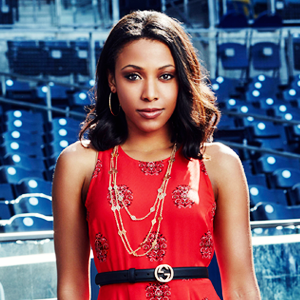 A beautiful, tough and gifted athlete, Ginny Baker (Kylie Bunbury) is vaulted into instant fame when she's called up by the San Diego Padres to make her Major League debut. Like any rookie, Ginny must prove herself to her teammates. 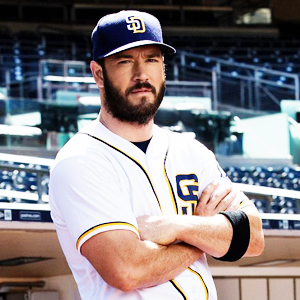 Foremost among them is Mike Lawson (Mark-Paul Gosselaar), the team's ruggedly handsome star catcher. There's instant chemistry between them, although neither dares admit it. After all, Mike is captain of the team and a few of his players don't even want Ginny on the field. One of the players watching Ginny's back is center fielder Blip Sanders (Mo McRae), an old friend from the minor leagues. Guiding her is her agent/confidante Amelia Slater (Ali Larter). Amelia saw Ginny's star potential early on and left her previous job as a Hollywood publicist to concentrate on the young phenom. Although groomed for this moment by her demanding father, Bill Baker (guest star Michael Beach), the end of Ginny's improbable journey is the beginning of an almost impossible one: representing her gender as she embarks on a successful baseball career under the glare of the white-hot media spotlight. It's a goal hard enough for anyone to achieve – except this player is also a woman, who happens to be the most important historical figure in sports since Jackie Robinson. This season, Ginny Baker will be the other woman trying to break into one of the oldest, most exclusive men's clubs in the country. Ginny is confident, strong, determined, athletic, beautiful, smart and talented and she is the first female pitcher to ever play in Major League Baseball. She is 23 years young and a role model to young girls everywhere showing them that they can be and do anything they want if they work hard for it. It is a lot of responsibility to take on and Ginny sometimes struggles with it because she feels like she has to please everyone. Ginny has been playing baseball since she was a little girl. Her father saw talent and potential in her and trained her which put a strain on her relationship with her mother and even her older brother. She is best friends with Evelyn Sanders and Blip Sanders whom she has known since minor league. She has a complicated relationship with her agent Amelia who may want the best for Ginny but often ignores Ginny's wishes. And then there is Mike Lawson. Ginny has been a fan of his since she was thirteen. As her captain and catcher, they share a special bond. PITCH aired its first and only season from September 22, 2016 to December 8, 2016 on FOX. It consists of 10 episodes. Check out the episode guide below. A pilot was sold on September 8, 2015, by series creators Dan Fogelman and Rick Singer. On January 14, 2016, Fox ordered the pilot to be shot. The creators opened up a casting call on February 24, 2016. The pilot episode was picked up to series on May 10, 2016. 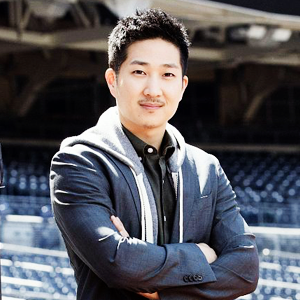 Major League Baseball cooperated in the production of the series. On January 14, 2016, Kylie Bunbury was cast as Ginny. On February 11, 2016, Mark-Paul Gosselaar was cast as Mike Lawson. On February 23, 2016, Mo McRae, Meagan Holder, and Tim Jo were cast as Blip, Evelyne, and Eliot respectively. 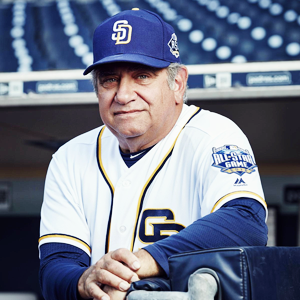 On February 29, 2016, Dan Lauria was cast as Al Luongo. On March 10, 2016, Ali Larter replaced Elisabeth Shue as Amelia Slater. 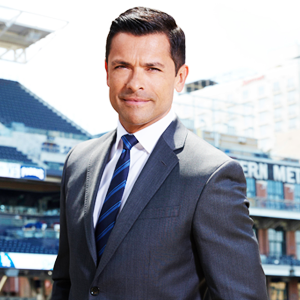 On May 10, 2016, Mark Consuelos was cast as Oscar Arguella, the team's general manager and president. 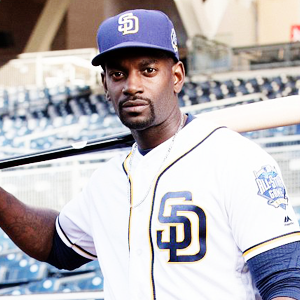 The series was filmed in San Diego, California, and features the Padres, the club the protagonist plays for. Producers also planned to use Petco Park in downtown San Diego to shoot scenes when the Padres are away or during the off season. PITCH received positive reviews from television critics, with Bunbury's performance receiving praise. The editors of TV Guide placed PITCH fourth among the top ten picks for the most anticipated new shows of the 2016–2017 season. Its review, from writer Liz Rafferty, stated, "Not since Friday Night Lights have we seen a 'sports' show that managed to deliver week after week, making viewers feel as invested in the characters' personal dramas as we were in the final scores of the games" and added that "PITCH has the potential to pick up that torch." She also had high praise for Bunbury, whom she cited as a "breakout star, not to mention her (fictional) character Ginny Baker, the first woman to pitch in the MLB, to be a role model for young female athletes everywhere". Based on 27 reviews, the show holds a 93% on Rotten Tomatoes, with Critics Consensus being "A terrific lead performance and well-constructed setup and timely themes make PITCH a home run." 20th Century Fox Home Entertainment released a DVD on July 17, 2018. The disc set features all episodes but sadly no special features. Kylie did several interviews and guest appearances where she talked about and promoted Pitch. Most interviews were accompanied by Mark-Paul Gosselaar. You can view them below. Kylie and the cast celebrated the World Premiere of PITCH on September 13, 2016 at West LA Little League Field in Los Angeles, California. In an ESPN profile of Bunbury, it was learned that she never played baseball as a kid. Instead, she picked up soccer, track and basketball. So to prepare for PITCH, she started watching the MLB Network non-stop and read books about baseball. She also spent two and a half months practicing pitching before filming the PITCH pilot. Bunbury is frequently asked if the show is about Mo'Ne Davis, a 15-year-old girl who pitched during the 2014 Little League World Series. Although the story is similar, the producers say no. Because of Major League Baseball's cooperation with the show, Ginny Baker (played by Kylie Bunbury) dons an official Padres uniform and actually toes the rubber in Petco Park. Kylie Bunbury (Ginny Baker) throws a mean screwball in real life. The main soundtrack theme is "A-Flat" from Black Violin. The actual record for fastest pitch ever thrown by a woman is 69 miles per hour. The average MLB pitch is 90.9 mph. In several interviews before the debut of PITCH, Bunbury said that she felt a sense of responsibility as the star of PITCH, since the story can be inspirational. Her character can be a role model for anyone who wants to follow their dream. This follows the same premise in the shows portrayal by its star, Bunbury. In an interview with People Magazine, Bunbury said, "I train three or four days a week". On May 2, 2017, Fox canceled the show after its first season.